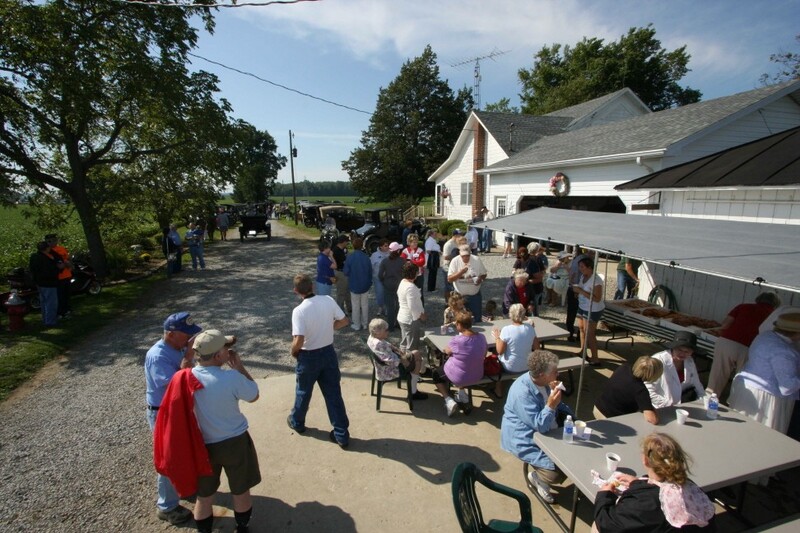 The September meeting was held at Jack Putnam's. 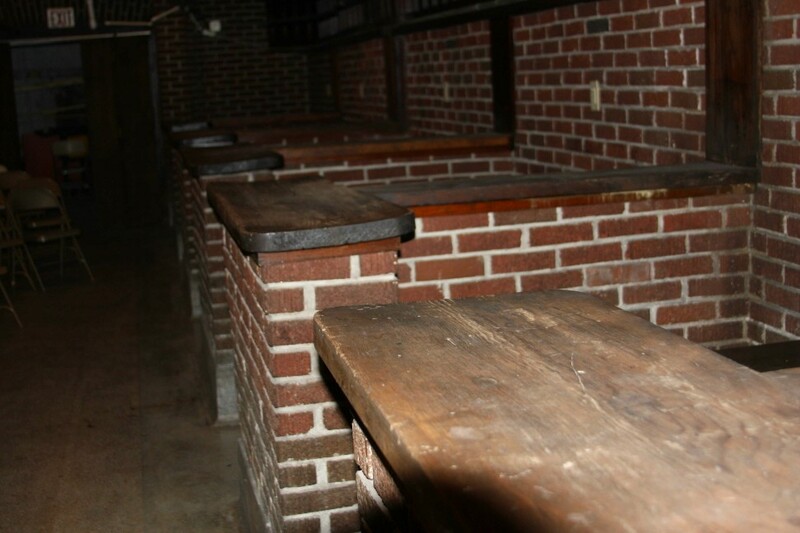 There were 13 members in attendance. Jack Putnam gave the treasurer's report. In Jamboree news, everything is lined up and ready to go for the Jamboree. We are up to 130 cars. Many of the members have said that they are coming early to help with the parking and registration. Others will be placing signs. Bob Torbet is working on donations and public relations. The balance of the meeting was used to stuff goodie bags. This newsletter contains pictures from the Jamboree's Saturday tour . This is the picture that was on the T-shirts for this year's tour. 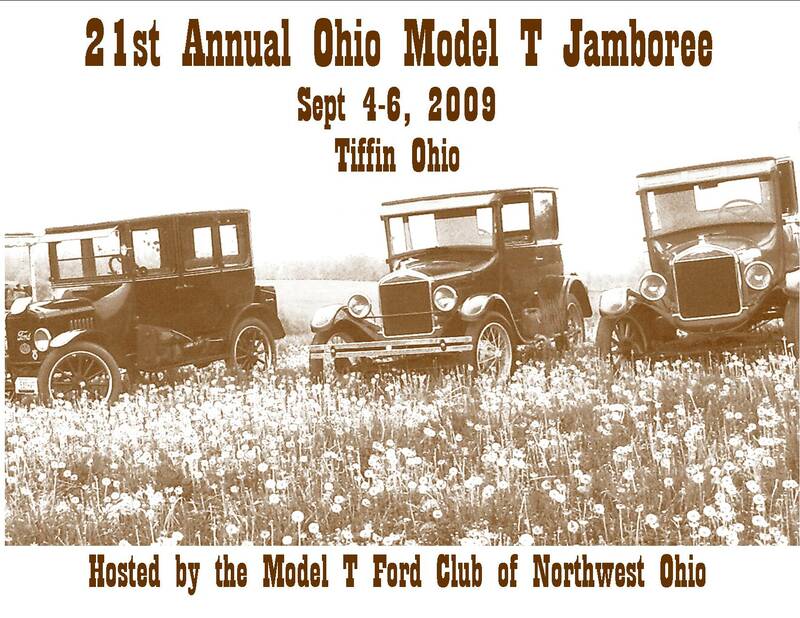 It is a simple set of three Model T sedans standing in a field of dandelions. 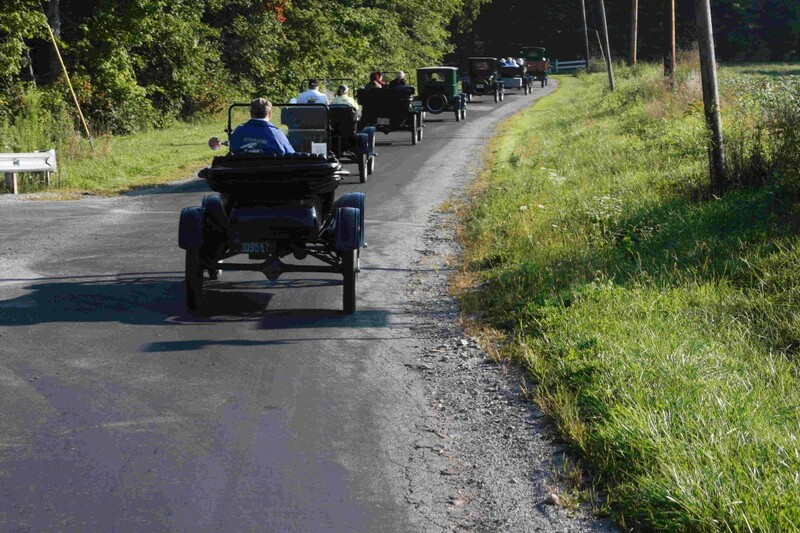 It was chosen to remind us of simpler times when our automobiles spent much of their time off road. A documentery crew recorded much of the event. 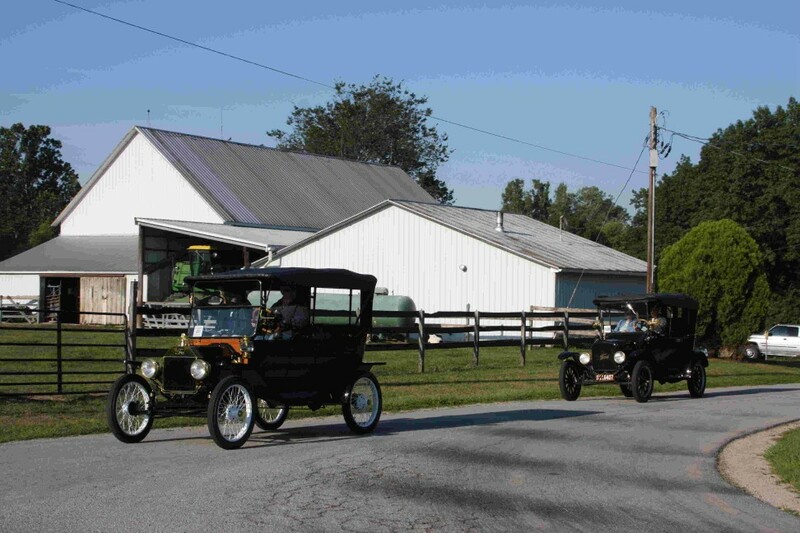 They set up at locations along the way and interview individuals about their experiences as they pertain to certain aspects of the Model T. The crew said that a finished product will be ready around Thanksgiving. This is an addition to pictures taken as a normal part of the Jamboree. Jeremy Colvin took a lot of pictures during the Jamboree. I mentioned the fact that we did not have an official photographer when I saw him during the summer and he just kind of went with it. Below are some of the pictures that he took of the festivities. Paul Griesse's car had a leaky head gasket; but, he just tightened it up and ran the tour anyway. That's Rick Lindner taking pictures of the cars. Scott Hiler was happy to take on a few passengers for the tour. He informed me that even though he had lived in the area for a long time, he saw things that he had never seen before. 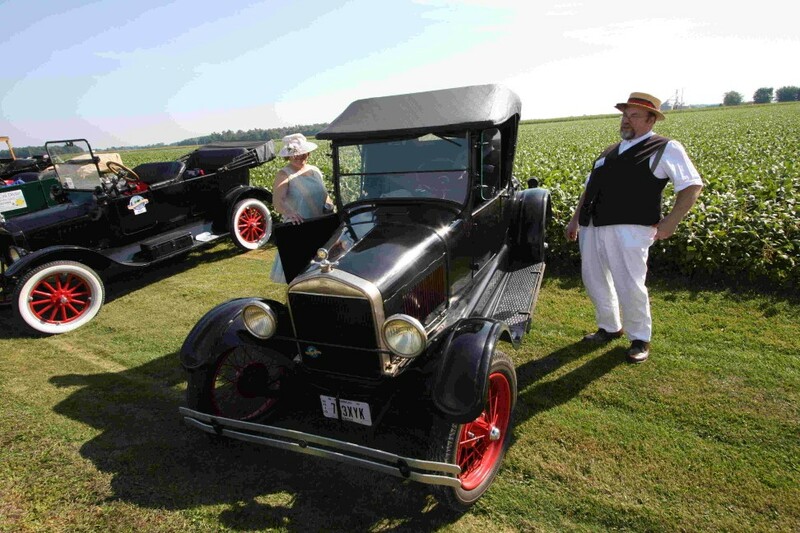 Bob Rutherford brought his 1913 touring for everyone to enjoy. 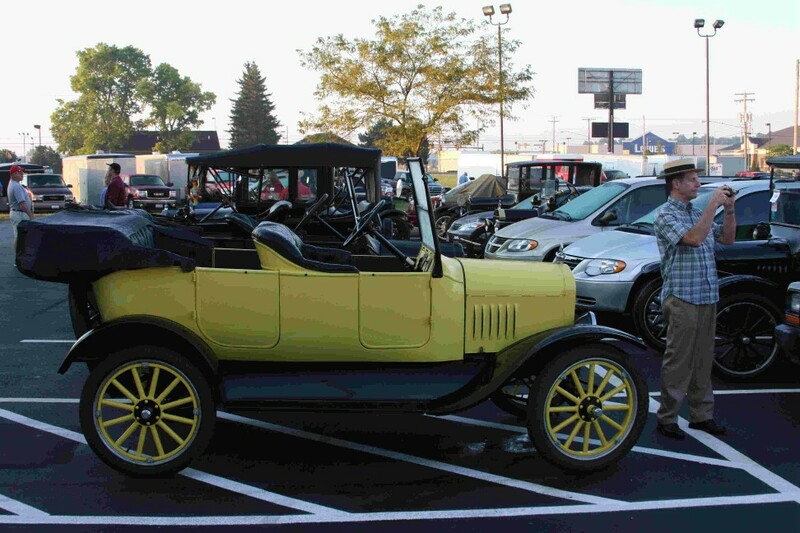 The 1913 has the distinction of being the car that could easily be torn apart. Most have very saggy back seats. 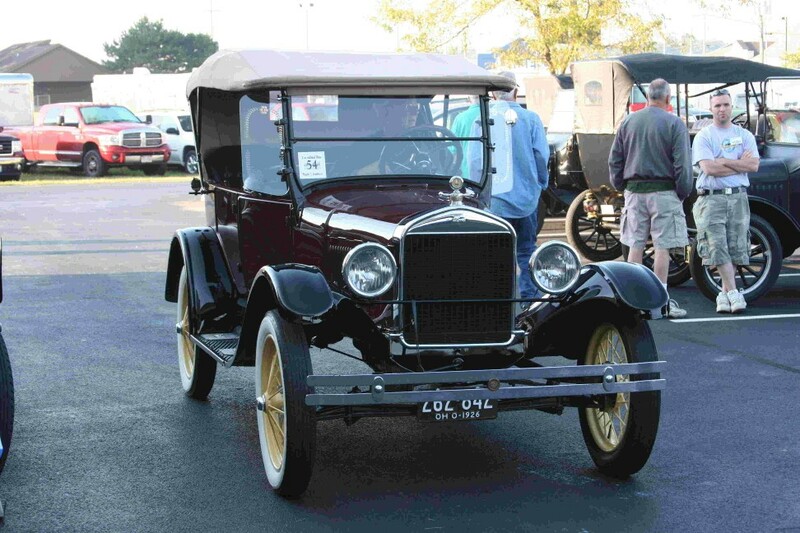 Bob Torbet drives up in his 26 touring to pick up Ann as others get ready for a day of fun. 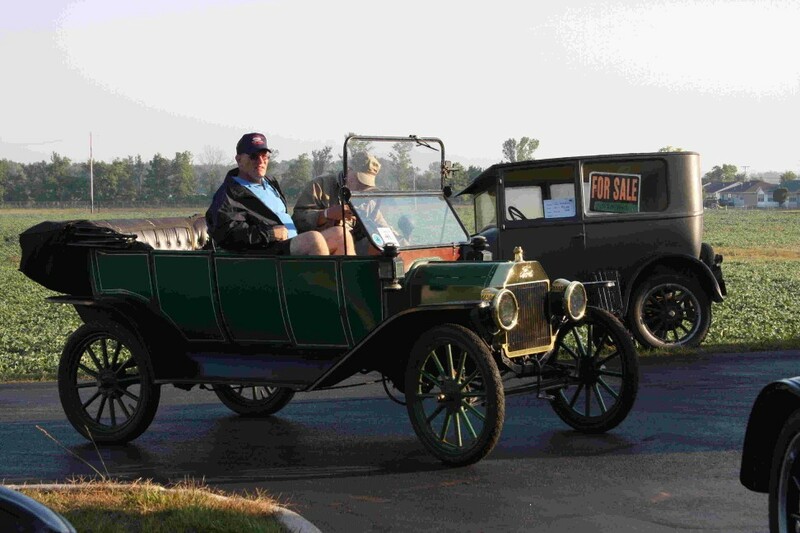 Finally on the road for the day, we see Jack Putnam in his 1914 touring passing one of the many farms that we would see all weekend. This farm happens to belong to Franky Bugner. His collection was on display as part of a Friday warm up tour. Sometimes it's just important to look the part. This couple was always dressed for the day. The dress and hat really go with the sunny day. 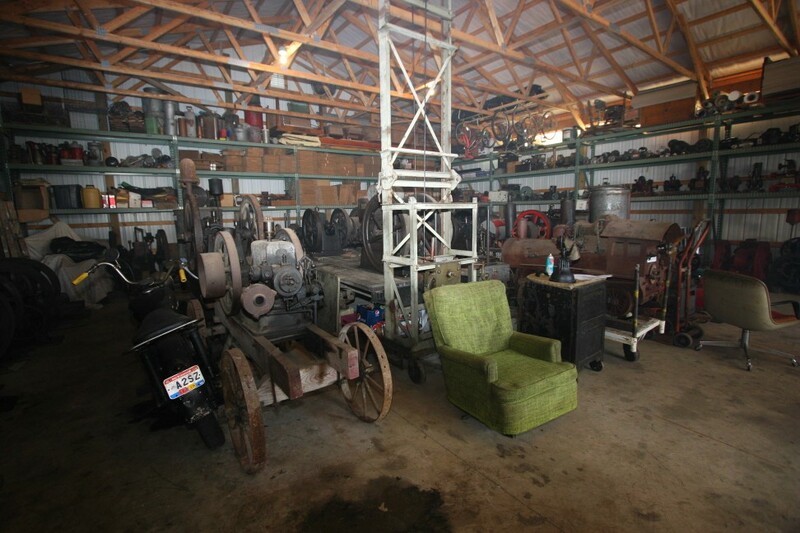 This is the inside of the small engine shop that we visited. The walls were lined with small engines of every make and kind. 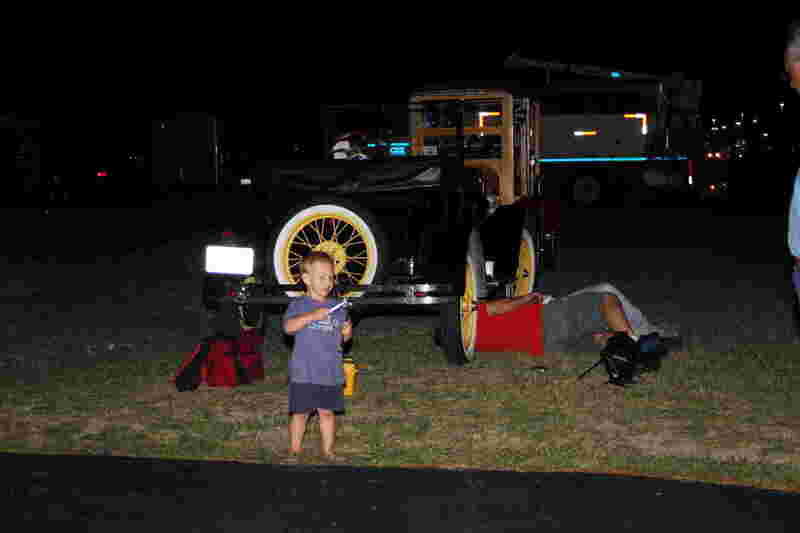 There were helpers posted everywhere to answer questions and start up any engine that you wanted. 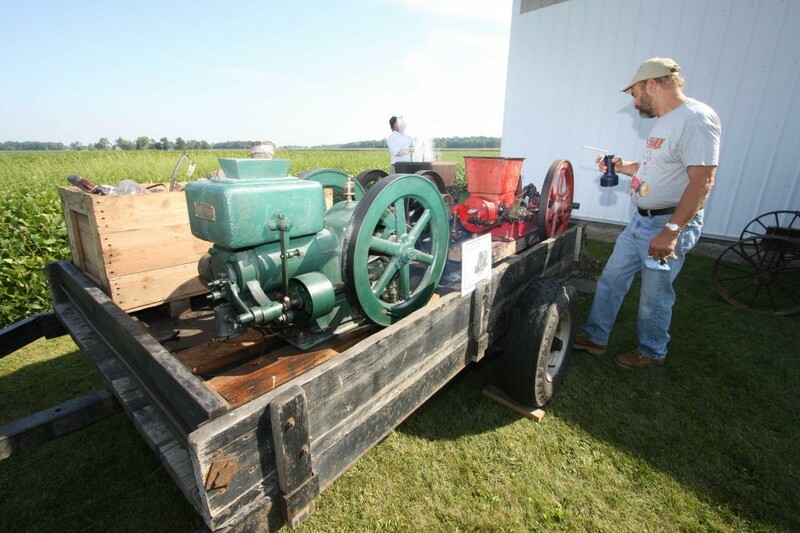 There were engines everywhere you looked on this farm. This is one of the attractions in the area that Scott H had only heard about. The stop also doubled as a coffee break. One of the major attractions in Bucyrus was the Copper Kettle factory where they still pound copper out by hand and stitch the seams as they have for hundreds of years. 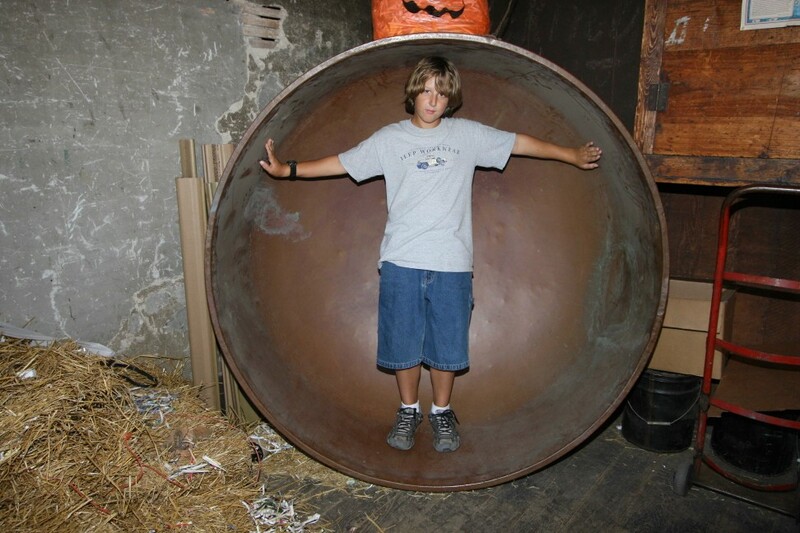 Ted Klepinger shows just how big some of the kettles are. 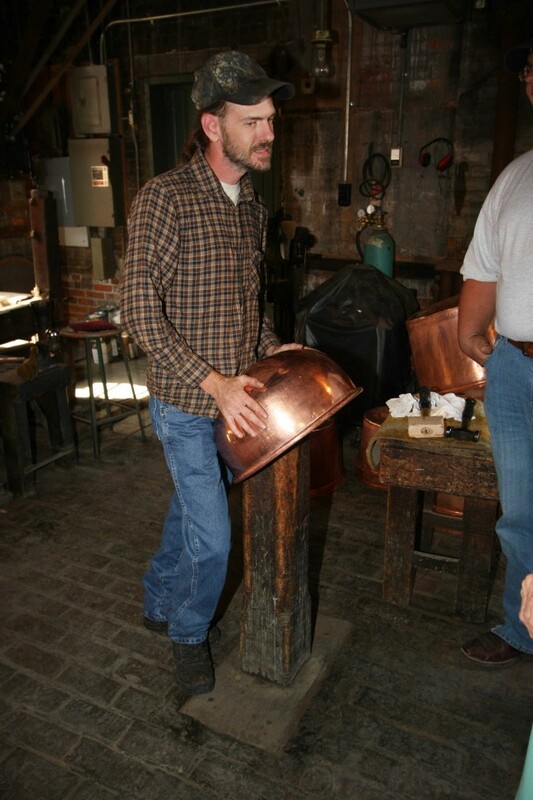 One of the workers was on hand to demonstrate the art of kettle making and answer questions. 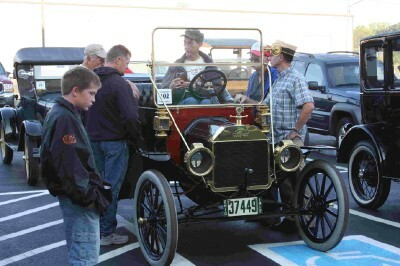 The Model T folks kept him busy. The only stipulation was that we kept our fingers out of the acid. Many were tempted !!! You try to provide interesting things for everyone to do. In the end, they all migrate back to what they do best. 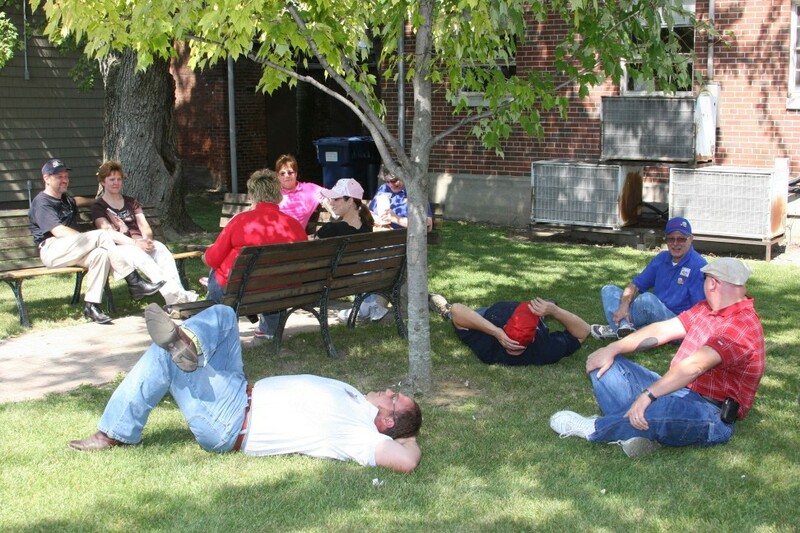 Here we see a group of the more ambitious individuals enjoying a small park in downtown Bucyrus. 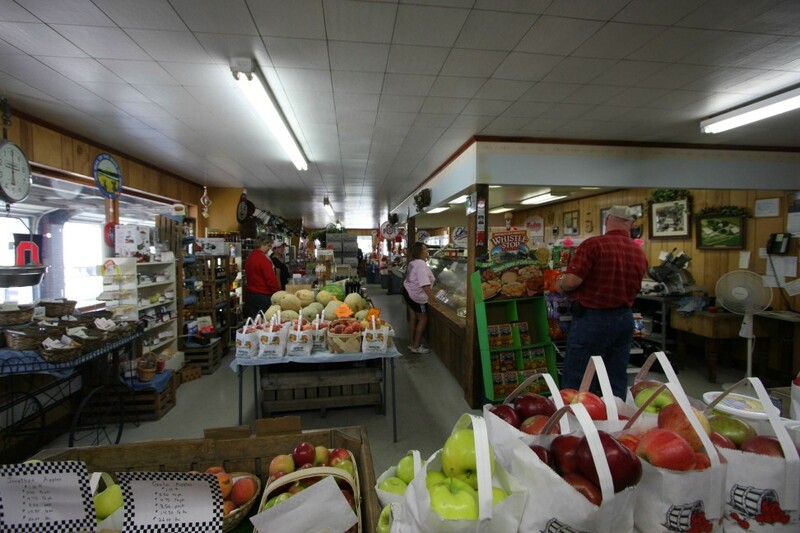 Another one of the stops in Bucyrus was an apple butter business on the north edge of town. For those that braved the construction routes through town, the reward was great. There are some tasty treats at this small stop. 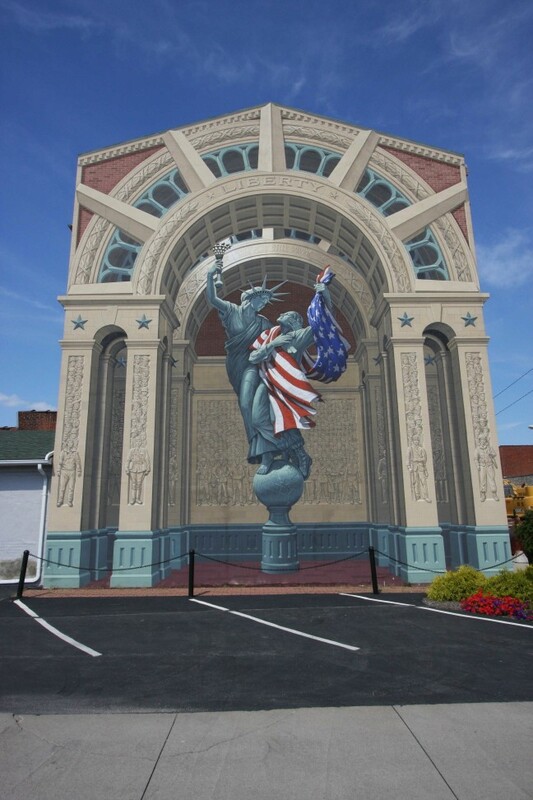 The murals in Bucyrus are the main reason that we took the tour through this town. As you look at them, you get the feeling that they are three dimensional. Even when you get close to them, they pop out at you. This picture shows off the beautiful day that we had for touring. There are not many days during the year that could compare to this one. The trick was getting the touring in and then eating dinner in time to get back to the auction in the evening. Ben Nolting did a great job of calling the auction, while the rest of the club kept it all going in the background. All in all a good experience.